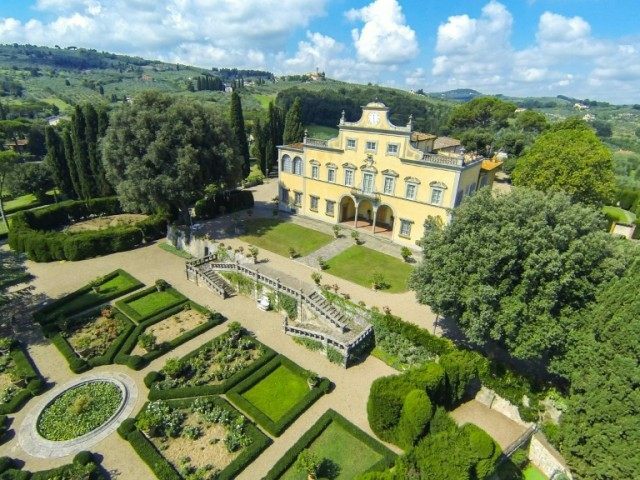 Rome (AFP) – One of Tuscany’s most famous villas is up for sale with its owners hoping to be smiling all the way to the bank thanks to its links to the Mona Lisa. The Villa Antinori was once owned by the family of silk merchant Francesco Del Giocondo, whose wife Lisa Gherardini is widely believed to have sat for Leonardo da Vinci’s world-famous portrait. Located in the hills outside Florence, “the villa is priced at over 10 million euros ($11.3 million),” but may well go for much more, a press officer for the Lionard Luxury Real Estate company told AFP. At the end of the 19th century it was sold to Tuscan wine masters Antinori, and it was Nicolo Antinori who decided to put a drawing of the property on the family’s Villa Antinori wines. The move was a challenge to wine rivals in France, with Antinori reportedly saying: “they have their chateaux, we our villas”. Some art sleuths think, however, that da Vinci might have used a male model for the Mona Lisa — or that the sly grin is because the painting is a self-portrait. In September last year, Italian archaeologists trying to solve the mystery of the model’s identity said they had found bits of bone which could have belonged to the ‘real’ Mona Lisa — but had failed to find the DNA to test it against.